We offer an excellent range of beautiful and elegant interior and exterior doors. 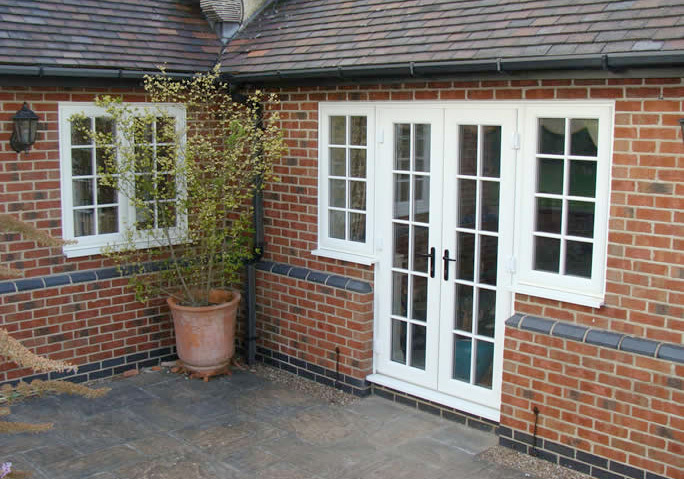 We take great pride in helping you, our customer, choose the right interior or external doors and UPVC double glazing for your home, we can provide you with a higher standard and specification of external upvc doors whilst offering such a competitive price. With our excellent quality and high security double glazed upvc doors , you can be sure to find the right upvc entrance door to match your home. Bi-folding doors exploit a beautiful view in addition to bring a garden straight into the home. Made popular because of use in bars, cafes along with restaurants, bi-folding doors can certainly create a tremendously glazed screen allowing in the the highest degree of light, particularly beneficial during rainy and windy weather. During warmer weather conditions bi-folding doors effortlessly glide to open up a whole entire wall bringing the outdoors in. Getting French or perhaps patio doors installed is considered the simplest way of enabling more natural light inside your home in addition to allowing immediate access to your garden or decking area. French doors are available a range of measurements. Inward opening permits you to get the most from your patio area, whilst an outward opening mechanism will certainly maximise your indoor space. With a choice of frame styles and a wide selection of fashionable colours available that include classic white, elegant cream and rosewood and golden oak for a natural finish, weíre certain you will find a style thatís ideal for you.